The question is often asked of how the Bluestones would have travelled to the destination of Stonehenge, which is a big ask but an even bigger question for me is why? 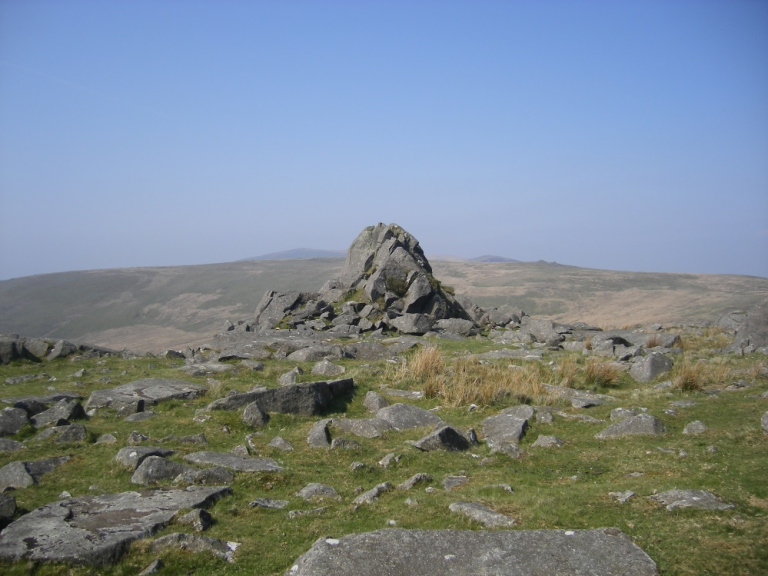 All throughout history we have references to the Preseli Hills, Mesolithic sites, Neolithic stone monuments, Bronze age burial sites, iron age forts, tales from the Mabinogion, pilgrims, Flemings, poets and MOD protests. The hills have captured the imagination, reverence and awe of generation after generation. But what about this modern generation, what do they mean for us. Only 70 years ago when the MOD decided to ring fence the hills as an MOD training camp, civilised men protested " not over our dead bodies". So there is still great interest in these hills, people come from all over the world to make a connection. From spiritualists to great archaeologists, and it is perhaps in the field of archaeology where great strides are being made to approach those questions of how and why? Over the years I was led to believe that most of the Stonehenge bluestones came from Carn Meini, that great rocky outcrop which is so evident from Mynacholgddu and other places south of the hills. I was therefore amazed when in 2011 the source at Carn Meini was generally disregarded and that another quarry site had been discovered which was believed to be the true source of most of the stones - Craig Rhosyfelin. So the mystery of the Preseli Hills continues and they are a magnet for visitors from near and far. As a tour guide I have led many groups over and around the Preseli Hills for many years, touching the great monuments deep into the past, pondering upon the great mysteries and some important people have walked these paths with me. For further information on hiring me as a guide, please get in touch. I will share some further insights about the site of Craig Rhosyfelin in my next blog.